We have expanded our selection of Bath & Body ingredients. If there is something you do not see please ask. 16 oz Cylinder 24/410 White HDPE plastic bottle these come with a standard closure cap. 2 oz Plastic Thickwall Jar Container w/Foam Insulated Lid. 4 oz Cylinder 24/410 White HDPE plastic bottle these come with a standard closure cap. 8 oz Cylinder 24/410 White HDPE plastic bottle these come with a standard closure cap. 1 ounce Amber or Blue Round bottle with foam sealing cap. The 1 ounce glass eye droppers we sell fit these bottles. We have limited quantity of the blue at present. Glass candy thermometer clips onto side of melter. Lotion pump cap 24/410 neck will fit our plastic 4 oz, 8 oz and 16 oz bottles. Fits 1 ounce amber round bottle does not hold 1 ounce. Works good for our liquid dyes. 1/4 oz Thickwall Clear Plastic Jar, Cap Included. 1/8 oz Clear Thickwall Plastic Jar, Cap Included. Lip Balm tubes for making your own lip balm or solid perfumes. These lip balm tubes are 2 5/16" tall x 9/16" around. They hold .15 oz. 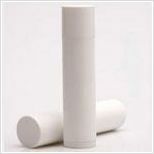 (general lip balm tube size). They have the twist up bottom and a pressure fit cap. Only available in white. We have these available individually or you can get a bulk rate per 25 & 100 quantities. 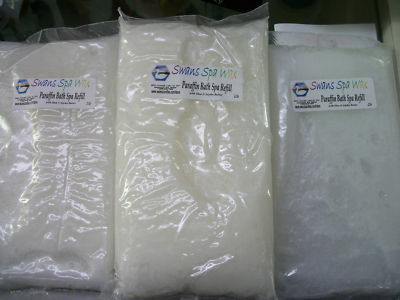 1 ounce Pina Colada flavor, works great in Glycerin Tinctures. Flavor needs to be mixed with glycerin for use in balms ect. This is used for making Vape Juice. Propylene glycol is a chemical made by reaction of propylene oxide with water. Propylene glycol has great reputation for safe use in a wide range of consumer products, including foodstuffs, animal feed, cosmetics, pharmaceuticals, as well as industrial applications. Propylene Glycol is great liquid emulsifing solvent connecting and stabilising insoluble fluids. Propylene Glycol is also a excipent, helping to bind and transport other substances, holding and dissolves active ingredients equally. Proplene Glycol reduces the freezing point and increases the boiling point. The propylene glycol molecule is chemically neutral,so it usually does not react with other substances. By emulsifying the active ingredients, which otherwise would not mix, the propylene glycol creates a stable fluid that will produce a final product that is totally blended with out using a solid emulsifer. Carrier for flavors in foods, drinks, E-Juice for Vaporizors, vaccines, cough syrups and gel capsules. Adds moisture, stabilzes and creates consistency in face creams, body lotions, deodorants, lipsticks and other cosmetic items. Retains moisture and flavor in dry foods and animal feed. Safety shrink seals, "Sealed for your protection" These come in 9 sizes please select size in shopping cart. #1 Fits 1/2 oz and 1 ounce Amber rounds. #2 Fits small Yorkers. #3 Fits 1/8 and 1/4 oz clear jars. #4 Fits 1 gallon jugs. #5 Fits 45 Mil Hex Jars. #6 Fits 2 oz tin, 110 ml Hex Jars. #7 Fits 4 oz tin and Med Hex Jars. #8 Fits 4 oz tin and Med Hex Jars. #9 Fits 8 oz tin lg jars. These shrink down quite a bit. Sampler Jar , Clear Color , PS 5 ml, 24 mm. Cap Included Perfect for samples. 120 F Melt Point Paraffin for Spa Baths. Contains Paraffin wax. 120 spa wax can also be used in container candles, taper candles, votive candles & tea light candles. Fine Mist sprayer cap 24/410 neck will fit our plastic 4 oz, 8 oz and 16 oz bottles. We currently stock 2, 4, 6 and 8 ounce candle tins. These tins dent easy and can not ship with hard items in flat rate box. If ordered with waxes more shipping charges can occur. Titanium dioxide, also known as titanium(IV) oxide or titania whitener pigment.